North Park Hockey Assocation is a non-profit youth hockey club based in New York City. North Park was founded in 1987 in Central Park, and we are proud to be entering our 31st season in September 2018. We offer programs from learn-to-skate through Bantam. Our learn-to-skate program is based at Bryant Park and runs from November thru February. Our travel teams (8U Mite, 10U Squirt, 12U PeeWee, and 14U Bantam) play from September through early March, with the exception of holidays, and we have a 10-week Spring Program to provide our players with high quality training opportunities in a flexible format from April though early June. We are grateful to be partnered with a variety of metropolitan New York City venues, including City Ice Pavilion, MacKay Ice Arena, Cutting Edge Ice Academy & Long Island City-ICE, among others. We compete against other elite programs in Long Island, Westchester, Connecticut & New Jersey, and we strive to make a long-term commitment to our families to develop players from preschool through 9th grade. Our tryouts evaluate new players and make roster determinations for returning players. While we will address behavioral or attendance issues if necessary, we do not "cut" returning players based on an annual talent assessment. We have found players at these young age levels to develop at different rates, and over time, all will advance to a high level in our program. Our primary goal is to instill a lifelong love of hockey, which we believe is put at risk unnecessarily at this age with a more short-term mindset. Our most successful teams compete at a strong AA level, and are characterized by mix of AAA and AA-level players. In the 2017-18 season, North Park won multiple titles in the Hudson Valley Hockey League and the Metro Elite Hockey League, as well as a 10U AA title in the New England Regionals of Silver Sticks. We accomplish our goals with a focus on coaching talent from the U.S. and overseas, as well as strength of commitment from our member families. We believe that there is ample competition within a 45-60 minute drive of Manhattan to develop talent at this age, so we play nearly all of our games within that radius. We also encourage balance with the rigorous academic requirements in New York City schools, and with other extracurricular pursuits when not in peak season. Please note that North Park also offers a need-based financial aid program. 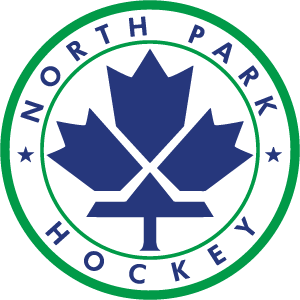 If you have any questions about playing for North Park, please contact northparkhockey@gmail.com. And if you would like to schedule a game with our program, please contact northparkscheduler@gmail.com.